I’m an unashamed lover of stationery and stickers, and ordered some great labels for Max from It’s Mine a few weeks ago for his bottles, clothes, Baby Sense blanket and all the cars he takes to school most days. They’re fun, hardy and colourful, and you can design your own labels. To enter, simply comment below, plus go to the It’s Mine Facebook page and “like” it. 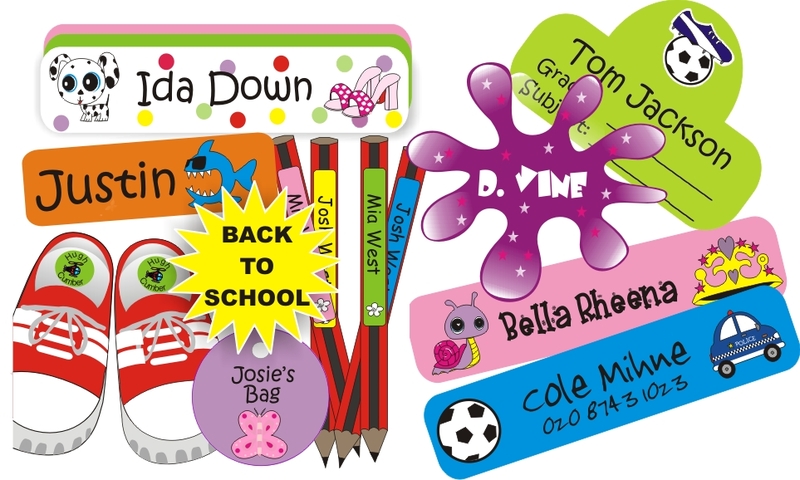 It’s Mine are also offering moms 10% off all school labels ordered between now and the end of the year. Simply use the code 91CJ10 when ordering, and you’ll get 10% off. Great deal, peeps! Winners will be announced this Friday. A really great product and good quality! Such fun designs too! My name is Bronwyn and I am addicted to stationary. Hi. Oh please let it be me! I – literally – am on the verge of placing an order with them for when my Bubble starts school next year! I’ve already liked their page on FB too – did so just yesterday! Oooooh! I am also a stationery lover! LOVE LOVE LOVE, especially since Aaron needs to label all his clothes for nursery school next year! Love these! Can I please win this one? I really need to win something, my self esteem needs the boost! Stunning! I liked it on Facebook! Wow! These are fantastically beautiful! Would love to win this. My Niece will be thrilled. Stunning stuff. I remember little labels on my school clothes but these are waaaayyyy more interesting and not to mention gorgeous.